Piper: Piper is a paint horse who had a difficult past. If you notice her back and tongue, you will see some scarring, likely from crude training techniques. Linda Oland rescued Piper from an auction and retrained her to be a terrific trail riding and lesson horse. 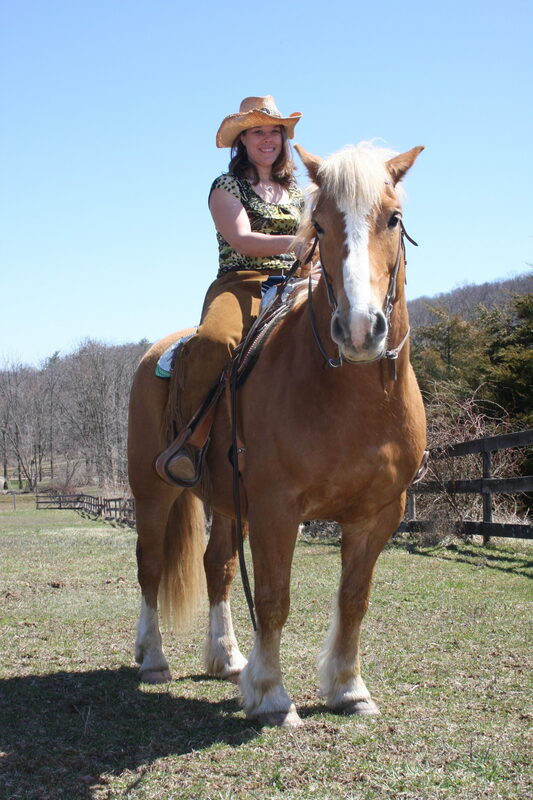 Linda used Piper in a lesson program before she came to Timberbrook Farm. Charlie: At the age of three, Charlie was rescued by River Valley Ranch with another haflinger and two ponies who were not being fed or properly cared for. While Chelsea worked at the ranch in 2009, she was paired with Charlie who became her wrangler horse and best friend. Charlie soon learned basic riding skills and after extensive training in ground work, became an excellent mount for competitive trail riding, hippotherapy, and therapeutic riding. George: George was born on an Amish farm before he became the companion horse for a nine year-old little girl. At 20 years old, George knows his job well at Taking the Lead, Inc. and horses around with his three best friends, Piper, Charlie, and Shae!